Poor posture is not necessarily a result of bad habits or laziness. Postural problems can be caused by tension in the muscles and microfibers in the connective tissue that create local areas of tightness, which distort our posture. Pulling your shoulders back and standing up straight does not improve your posture. 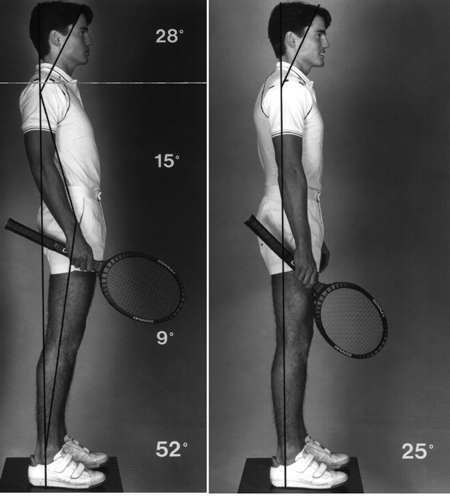 As you can see from the photos below, pulling your shoulders back hyperextends your back, forces your hips forward, and actually makes your posture measurably worse. In the photos below our client on the left is 'trying' to stand up straight by pulling his shoulders back. This does not improve his posture. Because the shoulders have mass, as they are pulled back, something must go forward. His hips have gone forward to compensate for the shoulders going back. Now his hamstrings are tight just from trying to hold him up. In the picture on the right we have released microfibers that were surrounding his shoulder muscles and rib cage. Now that his shoulders are relaxed they can more forward, his hips can now move back, and he is standing measurably straighter. 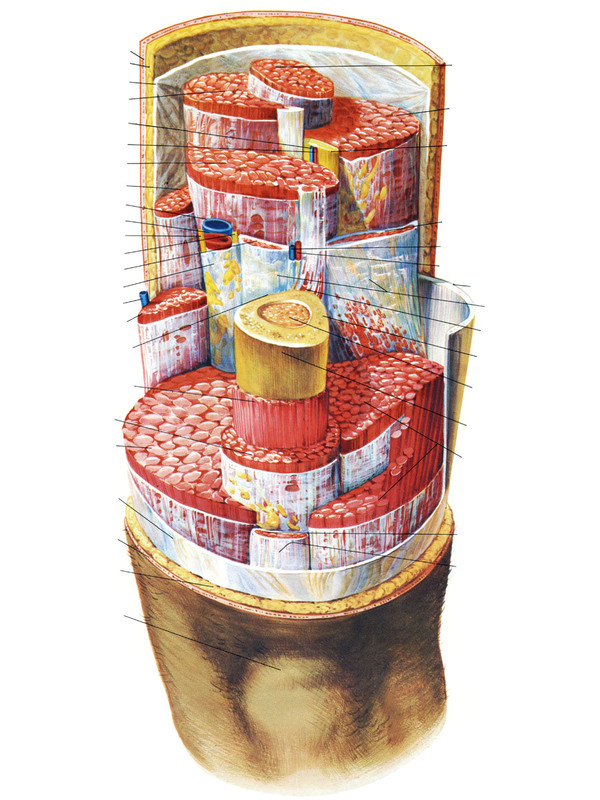 Each muscle in our body is surrounded by a thin membrane of connective tissue, just like skin around a sausage. These membranes facilitate the muscles sliding past each other, which they must do to stretch or contract. We help improve posture through Microfiber Reduction, our exclusive form of connective tissue massage and Tension Reduction, our exclusive program to reduce tension in the muscles. When a muscle is injured, overused or chronically tense, small microfibers form between the muscles to bind the area together so that it can heal. Microfibers are an internal cast. Unfortunately, once the area has healed, the microfibers not only don't go away, they tend to accumulate over time. This is why people get stiffer as they get older. This accumulation of microfibers can also make posture progressively worse with age. We can release the microfibers that have formed between the muscles with Microfiber Reduction. Once the microfibers and tension are released, they are gone for good. See individual programs for more information. You can see client photos and testimonials on our web site. Please contact us to discuss posture and schedule an appointment.